Columbia County, GA. 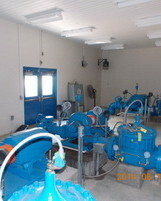 This project included a new building with a pump room and seprate air conditioned electrical and instrumentation room. 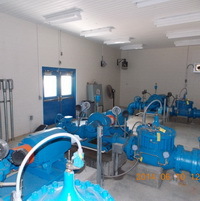 The station included three pumps, two online with one back up, and a space for one future pump. The pump station is currently rated at 4.3 MGD with space for an upgrade to 6.4 MGD. In addition to the pump station, the project included site grading, a new driveway and parking lot, tank instrumentation and upgrades, and demolition of existing pump station.